CHRISTIAN FERREIRA is delighted to announce the first exhibition forming part of his curatorial study CHRISTIAN FERREIRA AT THE WAPPING PROJECT. 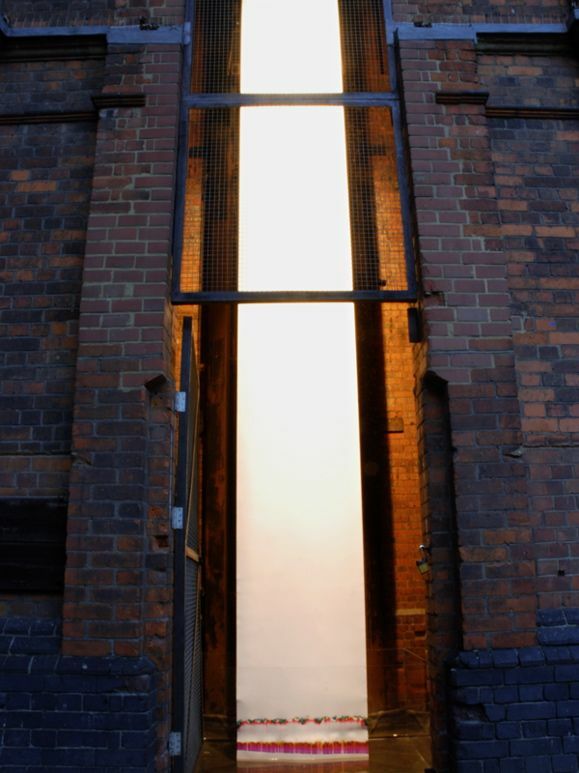 This debut exhibition will be a new installation by London-based artist Emer O'Brien. Known for works that mediate on the redundancy of human artefacts when deserted by man or things once known now unfathomable in their mystery: Run Run Run, brings pathos to the many futile attempts to entice breeding salmon back to the Thames. 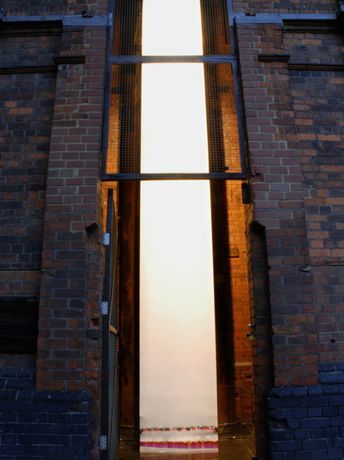 O'Brien's colossal, time-based installation draws upon the theme of Return and Departure by referencing the incessant ebb and flow of the river Thames. The Tower of the Hydraulic Power Station will house the continuously evolving work which highlights the changing role of both the tower and the river - from functional to primarily aesthetic forms. The work consists of an immense roll of paper, treated with dyes and suspended high above a container filled with Thames water. Through the process of chromatography, the water travels up the paper and through the dye to create vibrant rivers of colour. The paper acts as a metaphor for the forgotten history of the river; a Thames coursing with the colours of salmon on their migration upstream  effervescent pinks and the sparkle of silver scales  a visual paean to the fragility of natural beauty, and the symbioses of man, river and fish. No longer a primary source of food or an artery of industry, the river has evolved into a backdrop for the boardrooms of commerce and the bedrooms of the bourgeoisie. The salmon, once so prolific in the Thames and a food for the proletariat in Pepys' day, now arrive in the city from distant ports, commoditised and re-branded as foods for the few. The migrating rivulets of colour will gradually progress along the paper upstream, leaving in their wake remnants of the salmon's former ubiquity, glimpses of their vivid colour, and dreams of a London now unknown. Emer O'Brien was born in 1974 in Dublin, Ireland and now lives and works in London. She has participated in numerous group exhibitions including Peeping Tom (2010-2011), Wall of Light, Standpoint Gallery (2010), Turning the Season, The Wapping Project (2009), PRAGUE BIENNALE 2, Narondni Galerie V Praze (2005) and East End Academy, The Whitechapel Gallery, 2004. Solo exhibitions include Immiscibility, The School of Arts Commission for City University London (2009) and Journeys into a Bright World, FERREIRA PROJECTS (2008).